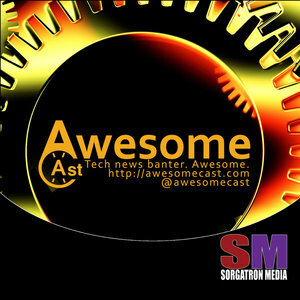 We found 10 episodes of AwesomeCast: Tech and Gadget Talk with the tag “microsoft”. There are some new, but familiar faces on the couch this week as Sorg is joined by Krause and Brian to talk about this week's tech headlines. Chilla, Sorg, and Krause are bringing you this week's tech news as we ramp up for the upcoming Apple announcement. Sorg, Chilla, and Krause are sharing this week's tech updates. It’s Krause and Sorg in studio with Chilla coming at us from Studio C as we’re talking tech. Christopher Whitlatch joins Sorg in studio while Chilla is remote from Studio C to talk this week in tech. Krause returns to the big purple couch this week to show off some of his new toys. He is, of course, joined by our in-house gadget hounds Chilla, Katie, and Sorg.